A man who had just sat down for dinner at the Pour House on Boylston Street got stabbed in the lower lip when he rose to defend his friend from a guy who'd grabbed a knife off another table and lunged at them in February, the man and police told the Boston Licensing Board today. Police and the victim described the odd events that led up to the lip lancing around 1:45 a.m. on Feb. 27: Read more. Maggie Hoffman reports the awning at a mattress store on Beacon Street, across from Winchester Street in Brookline, burst into flames shortly before 12:30 p.m., but was quickly put out. Read more. 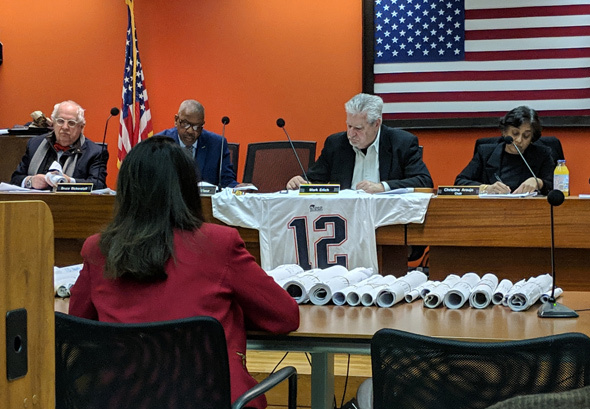 A British company that specializes in building private dorm buildings has filed formal plans for a 15-story, 533-bed dorm on the Boylston Street block across from the Fenway Park side, between the Sunoco station and Jersey Street. Read more. Boston Police report arresting a man after they say officers watched him sell some crack on Boylston Street at Gloucester Street around 8 p.m. on Friday. Read more. Boston Police report arresting two men shortly after 2 a.m. on charges one of them fired a gun several times on Boylston Street, with at least one bullet hitting a window at 888 Boylston St., in front of the Prudential Center. Read more. WBZ reports on the work to build memorials on Boylston Street to the four people killed in the 2013 Boston Marathon bombings or their aftermath: Krystle Campbell, Martin Richard, Lingzi Lu and Sean Collier. 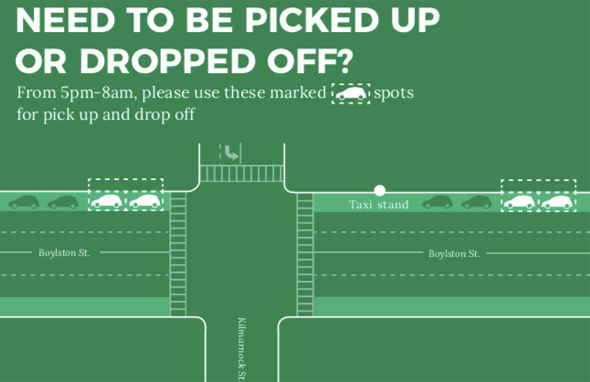 The city is marking off four spaces on Boylston Street at Kilmarnock for a pilot evening ride-share pick up and drop off area that starts Friday night. Read more. A Mattapan man should not have been tossed in a holding cell for several hours after he was arrested on Boylston Street near Tremont by a Boston police officer who mistook him for somebody else who had warrants out for his arrest, a federal jury decided this week. Read more. WFXT reports police ordered five restaurants along the parade route to shut their outdoor patios yesterday - and issued them citations - because their patios are only allowed to be open between April 1 and Nov. 1 - rolling rallies on unseasonably warm February days not excluded. Read more. 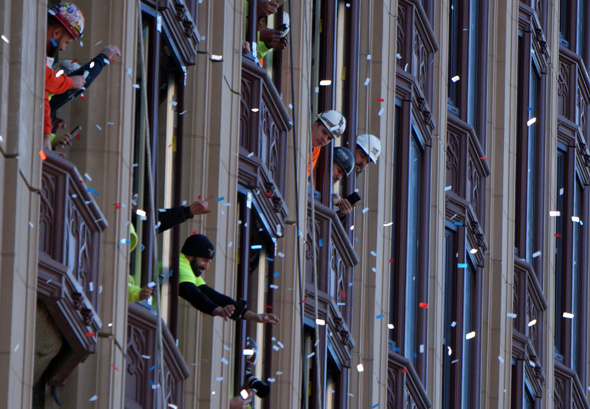 Construction workers took a break from rehabbing Emerson College's Little Building to watch the Patriots make the turn from Boylston Street onto Tremont Street. 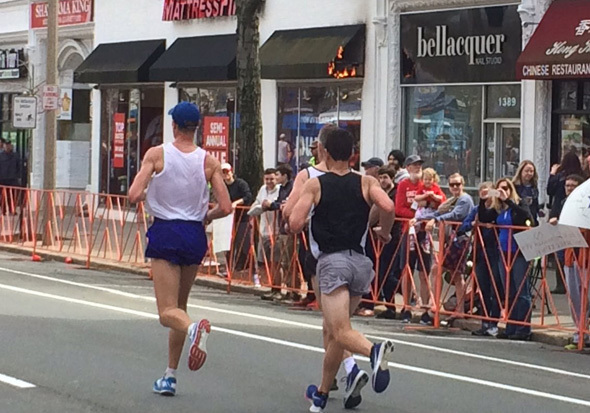 Michael Ratty captured Gronk being Gronk: Read more. Zoning hearings went on this morning, but with a nod to events outside City Hall. Chick-fil-A won permission from the Zoning Board of Appeals today to begin outfitting the Boloco at 569 Boylston St. as a two-story chicken-sandwich emporium. Read more. Boston Police post details of the Tuesday Patriots parade, along with helpful hints that basically boil down to: Don't be a knucklehead. 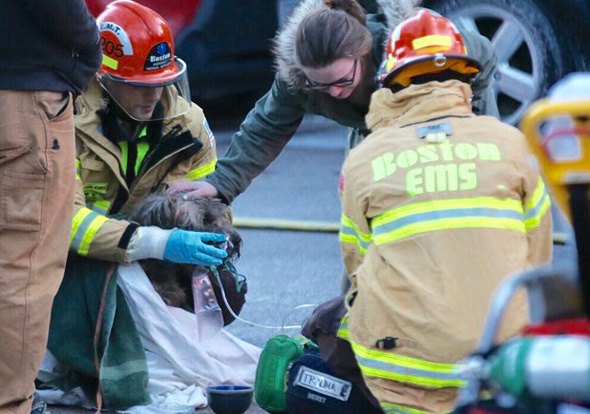 EMTs give dog oxygen at fire. Photo by BFD. The Boston Fire Department reports a two-alarm fire at 49 Boylston St. displaced six people and two dogs, one of whom required a bit of medical attention at the scene. Read more. A patron at Top Mix Bar and Kitchen on Norfolk Avenue in Roxbury left her clutch outside, went back out to retrieve it and found it but with $360 missing, then got punched in the face by the man who'd been captured on surveillance video lifting the money, police and the bar's owner told the Boston Licensing Board today. Read more. A developer's proposal to bridge the turnpike along the more barren side of Mass. 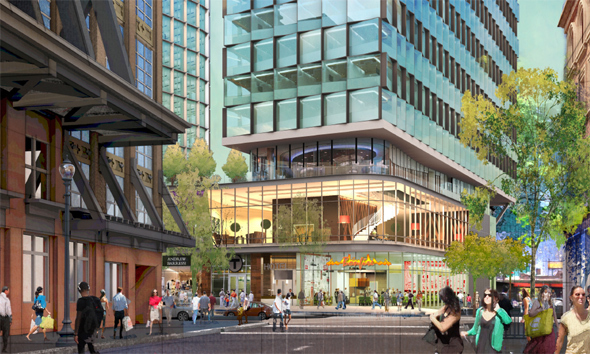 Ave. between Newbury and Boylston streets could mean several dramatic changes to the block beyond just towers covering what is now an open-air highway. Read more. 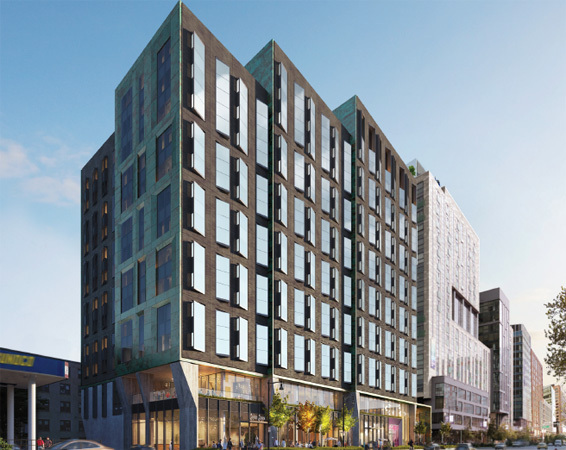 A British developer wants to replace one of the last remaining low-rise buildings on the south side of Boylston Street with 500 apartments and support services aimed at the city's burgeoning population of graduate students. Read more. Martin Lieberman was among the tens of thousands who lined Boylston and Cambridge street to watch the Red Sox rolling rally today. 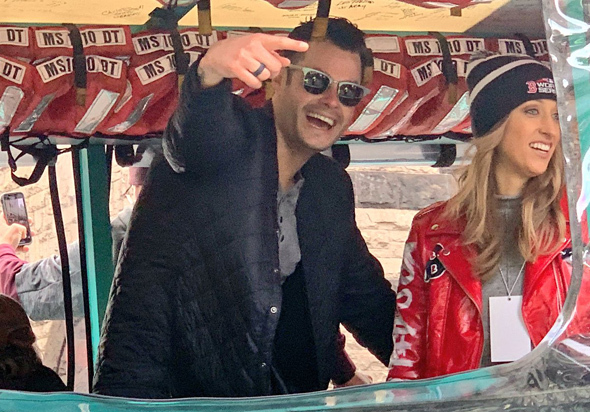 Among the people he spotted: Relief pitcher Joe Kelly and 2004 star Pedro Martinez. Read more. UPDATE: Released on personal recognizance at his arraignment, Suffolk County DA's office reports. Maybe he meant well, like other people at the rolling rally tossing beers up to Red Sox players, but whatever the intent, Boston Police report a Sandwich resident faces arraignment on charges that include assault and battery with a dangerous weapon for an incident during the parade on Boylston Street in Copley Square around 11:40 a.m.
Officers placed the suspect in custody after observing him throw an unopened can of beer at one of the Duck Boats, striking an adult male party on board. The victim was not injured as a result of the incident. 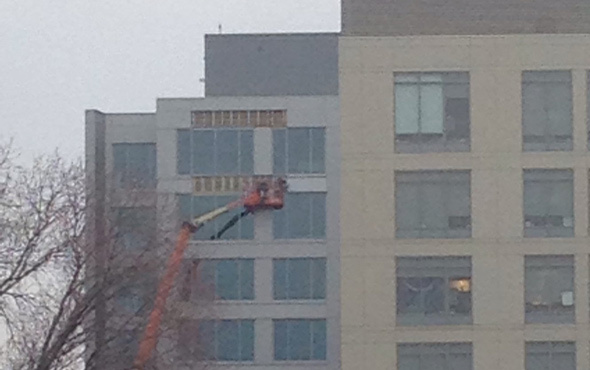 UPDATE: Emerson reports the event has been moved to "a more secure location," but doesn't say where. The Globe says maybe City Hall Plaza. Emerson College, which owns the Colonial Theatre, says it plans to exercise its landlord's prerogative to have Monday's talk by Sen. Jeff Flake and Ohio Governor John Kasich canceled or moved somewhere off college property. In a letter to the college, Emerson President Lee Pelton writes this afternoon: Read more.